The Home Sorted! Book Series combines all of the books within the Home Sorted! range, designed for simple reference and guidance on a daily basis. Category: Home Sorted! Book Series. The Home Sorted! 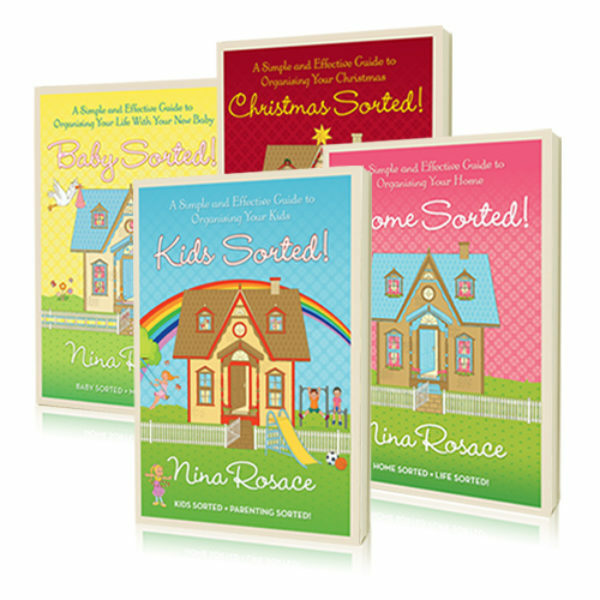 Book Series contains four beautifully illustrated and cleverly designed guides to help sort your life. Home Sorted! A simple & effective guide to organising your home. Kids Sorted! A simple & effective guide to organising your kids. Baby Sorted! A simple & effective guide to organising your life with your new baby. Christmas Sorted! A simple & effective guide to organising your Christmas. Home is where the heart is and you will learn how to sort your home, organise your kids routine’s, plan festivities and baby proof your home, simply and effectively.